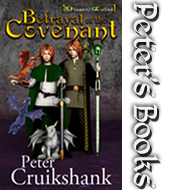 Betrayal of the Covenant released and available in paperback on Amazon and Barnes & Noble. Available on Kindle, with Nook and other Digital versions coming soon. Description: Tracked by minions of the evil Shin-il Priests, the Dragon-Called twins, Rowyn and Willoe, journey on a quest to the Hoarfrost Mountains. These lands are rife with dangers, including savage Sköll Wolves and the fearsome Ice Giants, and may hide more than just the sought-after Sword and the Staff. Devices created by dragons and rumored to control the Others and the Fire Within, while preventing one of the twins from dying to satisfy the Covenant. Back at Westhedge, unrest stirs as it becomes clear that a newly self-crowned king, and his mentor that controls the throne, will do whatever is necessary to keep their tenuous hold on the Kingdom of Cainwen, the twins’ homeland. On the other side of Taran, the Kingdom of Haldane and the Ice Queen hold surprises that shatter everything the Twins believed about their past. A lonely Priest must make unprecedented decisions that may have ramifications far beyond anything he could imagine. The key to opposing the foreign Shin-il Priests and taking back Taran lies in an all-out assault on Tierran’s Wall – built to be impregnable. Sellswords, Blood Stalkers and Shades, creatures as much dead as alive, will do anything to prevent the twins from succeeding. 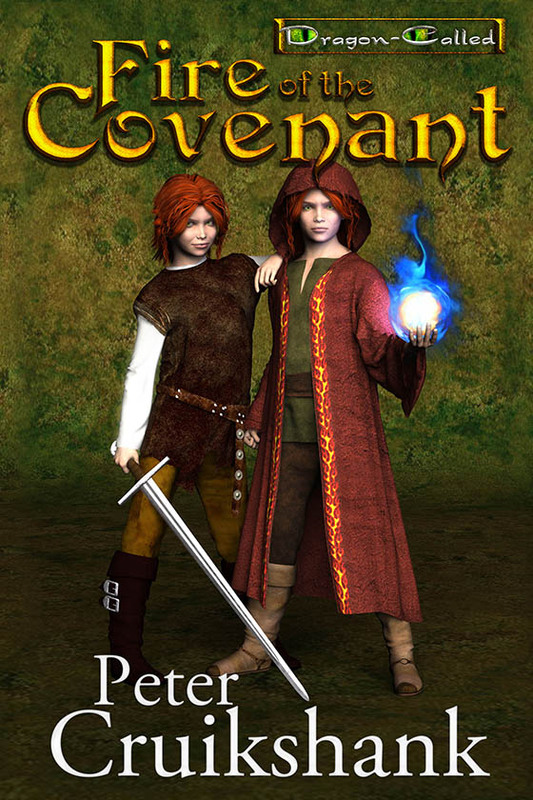 Unexpected allies may provide the help they need to overcome these obstacles, but an unimaginable betrayal may end the Covenant and destroy the twins ability to defeat the Great Evil, the Olcas Mogwai. Also available at other on-line retailers. Description: Legend says a Covenant between an ancient race of dragons and a Halfling King vanquished a relentless evil. More than a thousand years later, the evil has returned, better prepared and hungering for vengeance. 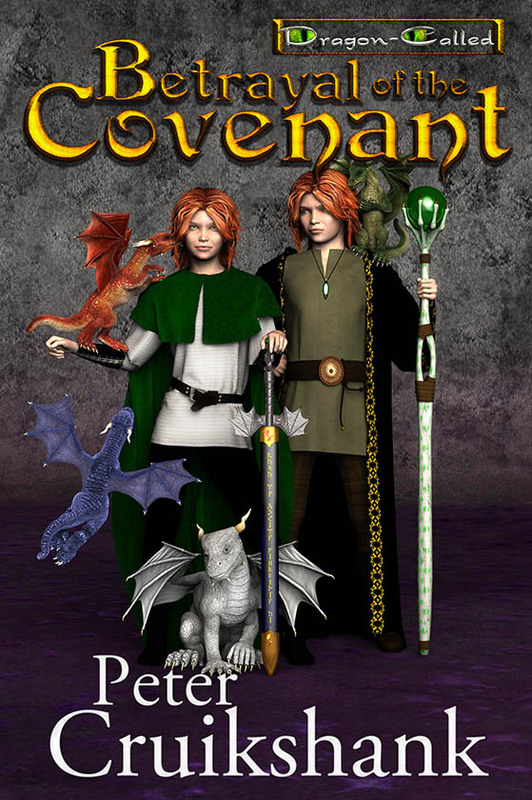 When the legacy falls to the twins Willoe and Rowyn, sixteen-year-old descendants of the mythical king, they struggle with the truth they discover behind the Covenant’s deadly cost. With the aid of their cousins Aeron and Casandra, the twins must learn to wield the power of the Dragon’s Fire that flows through their veins to defeat the minions of the great evil, even though success may require the greatest of sacrifices. 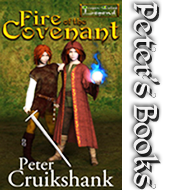 In a story with a host of characters and multiple story lines, Fire of the Covenant begins an epic adventure of self-discovery, the passion of love and sacrifice, and the eternal struggle between light and darkness. There is more to the young Dragon Trainer than even he knows. Trained by a Master Dragon Trainer, Rylan uses a gift, a secret he keeps to himself, that allows him to sense the feelings of the dragons he trains. 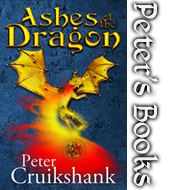 The only inheritance, from unknown parents, a Dragonsword and a link to the Goddess, the Burning Lady, who has plans for Rylan that he could never have imagined. With new friends, including a Protector, Elfs, a Skinshifter, an Ainglean, and of course the dragon, Emerald, Rylan is called to travel a new path with a new life’s mission. Four men, college roommates, come together after twelve years as one prepares to marry. The reunion reveals the depth of the changes that have, in some cases consumed them since parting after graduation. Startled by his friends request, Parker returns as the Best Man. A surprise job offer, upon graduation, and quick promotions made him an ace trouble-shooter for a global construction company. Yet the success had come with a price. The joy and enthusiasm he felt upon leaving college had been drained away and he couldn’t tell you when or how it had happened. His dreams of building for the less fortunate long forgotten. The Bride’s cousin and Maid-of-Honor, Aisling, has survived several tragedies that hardened her and changed her outlook on the world. Struggling to become a small business owner, her idealistic dreams vanish, buried by the cruel reality of the world and her own lost hope. Two weeks of preparation for the wedding finds Parker and Aisling constantly thrown together, their different perspectives clash as they try to fulfill their duties. Aisling and Parker struggle to find a connection in a world that they have nearly forgotten, while he and the rest of his college roommates wrestle with their changes in themselves and each other. As harsh as the world can be, other forces battle to influence the outcome of the roommates and their relationships. il fennore is a derivative of the Irish word Fionúir (pronounced FYUN oor). Translated to English it means White Ghost, though for use within the Fantasy world of Saoghal, it loosely means Spirit. More accurately il fennore is the Spirit World of the Burning Lady, a deity that reigns over the world of Spirits, which consequently influences actions in the physical world. il fennore publishing is dedicated to producing great Fantasy books that whisks the Reader away to worlds of adventure; infuse them in Romance side-by-side with the Spirit/Supernatural, or bringing history to life for the Reader through fictional characters and events. If even for just a short time. The books come from somewhere beyond the author’s mind and we can only imagine that his mythical and supernatural friends have something to do with that. It has even been rumored that his Muse, Willow, takes the form of the dragon from time to time. However, with regret, we are not at liberty to confirm nor deny this rumor.